Simple and easy way to make a room in your home is by adding CSI Wall Panels I think this would look good on a ceiling in a small room or a wall to make it look fresh and new. What is good about this is it’s perfect for any budget and these are 3-D plant fiber wall panels that are also eco-friendly, 100% natural and come in a variety of shapes, styles, patterns, textures and colors. Because the made of wood they can be painted any color you want them to be they are also lightweight and easy to install. The panels ZITA Made from FSC Certified MDF Wood fibers. With 12 unique wood wall tile designs, Easy to install, lightweight & paintable. Add elegance and depth to your interior wall space at a very affordable price. Each box comes with 10 panels (19.68"x19.68") and covers 27 sqft/box. Our textured wall panels may be also used on ceilings, as wall murals, framed art. Very versatile and only limited to your imagination on their uses. SelectWalls 3D wall wood panels may be used in commercial and residential settings. Our 3D wood panels are exclusive to us and the only wall panels of its kind offered in the US and Canada. My Opinion: these are very neat because they are great for the environment and you can paint them any color you want or you can leave it natural wood for a rustic feel. The Very interesting product which is unique on the market and easy to install. 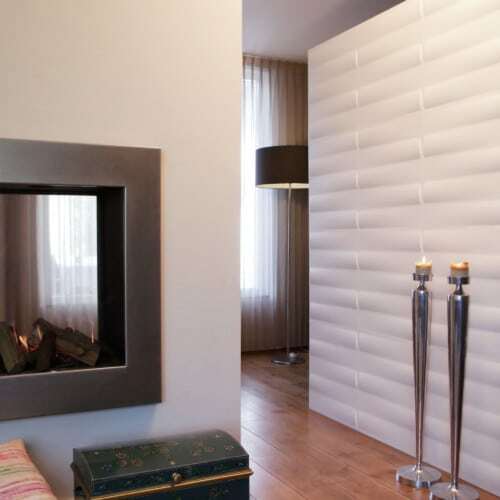 About Them: CSI Wall Panels is a leading designer, manufacturer and installer of decorative wall panels exclusively for commercial applications including Hotels, Restaurants, Corporate, Retail and more. Spanning 7 collections featuring over 160 designs, 6 core materials, and over 500 finishes our selection of wall panels is industry leading. Starting with your vision, our staff Architects design and present wall panel solutions that respect the integrity of the architectural design all while offering an impactful and rich outcome to space. We don't just sell you stock wall panels, rather we collaborate with you to design a space that tells your story on the walls.